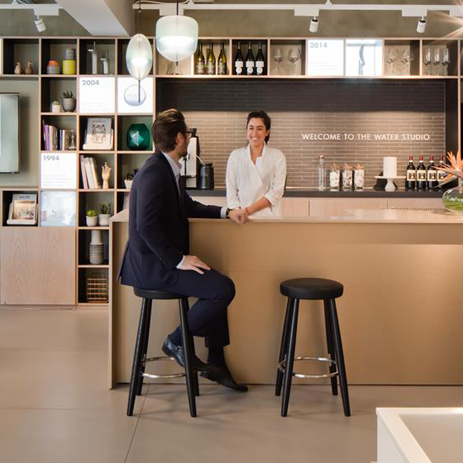 The Water Studio is Hansgrohe’s new hub of inspiration, excitement and resources in Clerkenwell which is the beating heart of London’s design district. 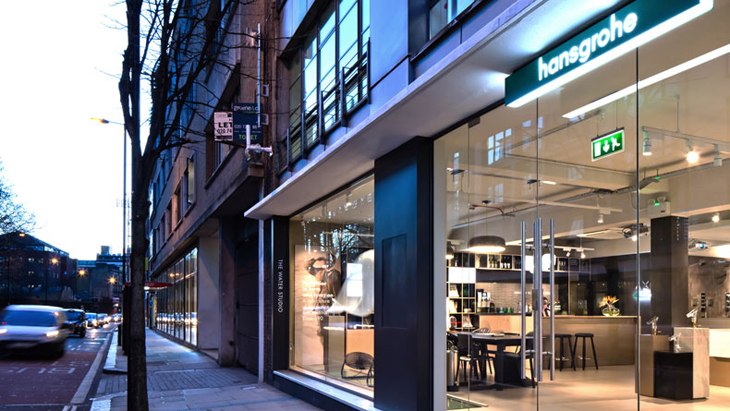 It acts as a hub for professionals specifying bathroom projects both in the UK and all over the world. 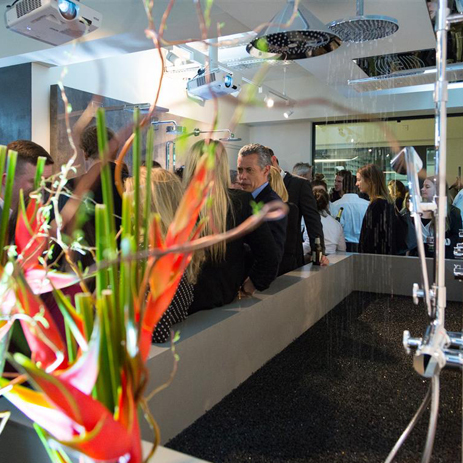 And it welcomes everybody who loves the Hansgrohe and AXOR brands. 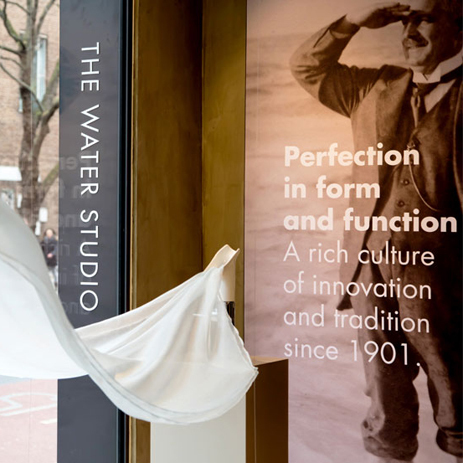 Unlike conventional showrooms, The Water Studio is about demonstration and interaction. 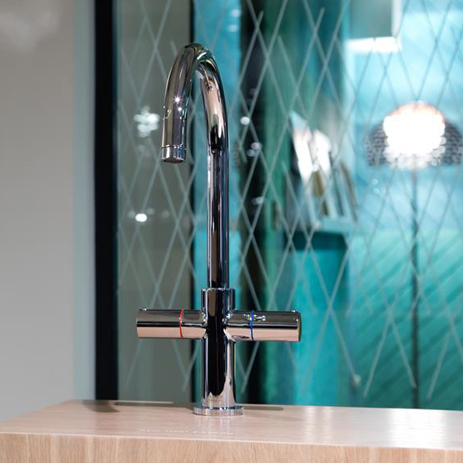 In addition to four working water stations and over 200 products, other features include Quick Connectors – a system that allows easy exchange of products to show their function. There is also a ‘Behind the Wall’ area that demonstrates how products are installed. A library wall offers inspiration, resources and digital presentation. 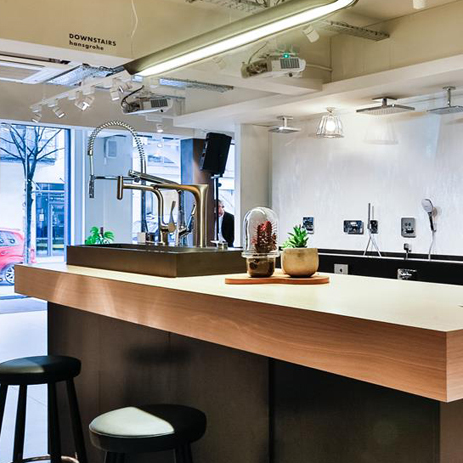 And a large open design table faces out to the bustling Clerkenwell Road where customers: whether A&D, retailers or consumers are encouraged to meet. 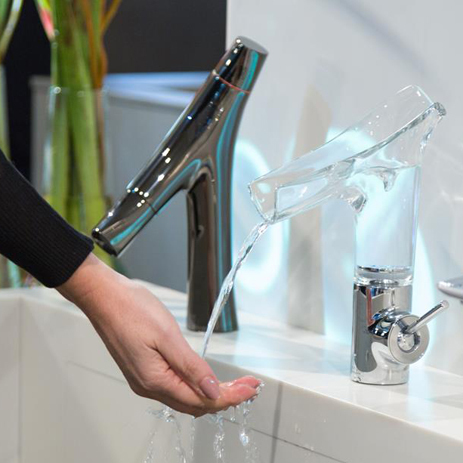 Visit the studio to discover the joy and primal wonder of water and explore the extensive Hansgrohe and AXOR product ranges.